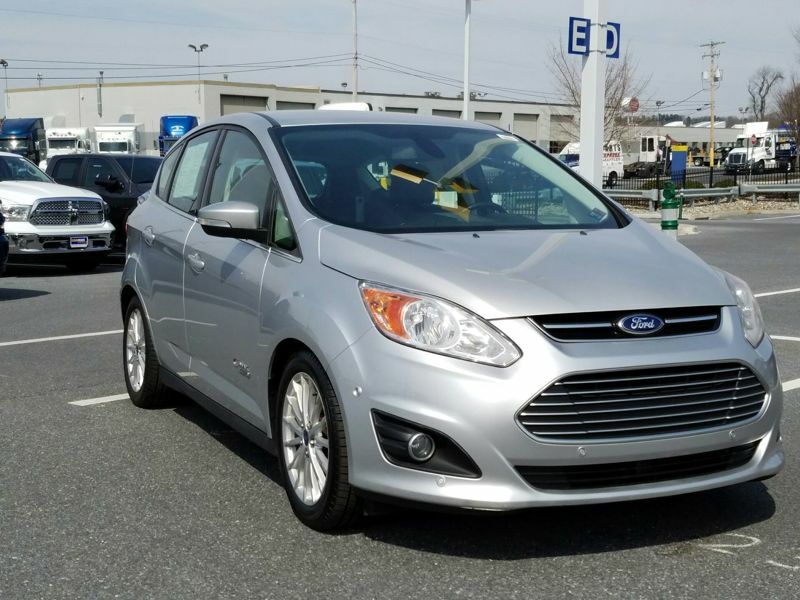 Transmission: Automatic Color:Silver Interior Color: Black Average Vehicle Review: (5 reviews) Ford has certainly taken over the quality department .I love everything about this hybrid, from the excellent gas mileage to the smooth ride. The interior is elegant and comfortable and the design is unique. After being a Chevy man most of my life, I'm so happy I changed. Transmission: Automatic Color:Gray Interior Color: Black Average Vehicle Review: (5 reviews) Electrical system is glitchy. They need to recall this car for the main battery issue. No fun to have a fully charged electric car that won't start because the main battery won't power the computer system, starter, alternator etc. was impressed with the mileage at first but have fallen out of love. AND the steering ratio in the car is the WORST of any vehicle I have ever driven. 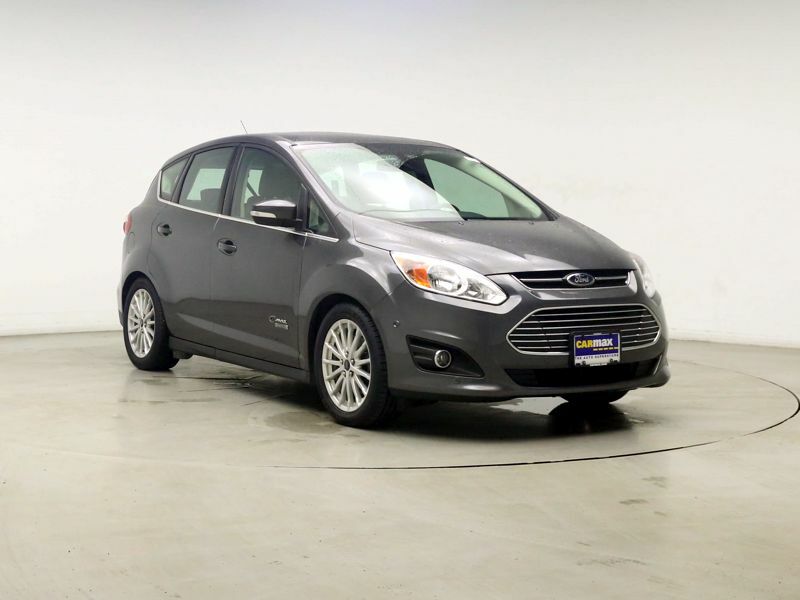 Transmission: Automatic Color:Silver Interior Color: Black Average Vehicle Review: (4.609 reviews) I looked at many hybrid models and I just could not walk away from this little gem of a car. Someone told me that it reminded them of a baby minivan. I love the room inside the car and the adjustable height of the driver seat. The extra side mirrors are also great. No blind spots int this car! The gas mileage is great. The SYNC system is not completely reliable, but it is okay for me. The turning radius of the car is very limited which is surprising because the car is small. Trunk space is also very limited. The car is very zippy which was a pro for me. Transmission: Automatic Color:Silver Interior Color: Black Average Vehicle Review: (4.333 reviews) Although it doesn't look like much on the outside, this little rocket will push you around any street or highway you want to go. If you are a 12 mile Round Trip commuter, you will love this, as you can plug in at any 110 volt plug and charge overnight. A charge will give you around 12 miles. You can expect 36 mpg overall around 65 mph. I drive interstates and it will drive well at 75 and the seats/cockpit make the experience good for about 4 hours. Very touchy brakes, but you get used to that. Storage room is adequate if you fold the back seats down flat. It doesn't have a spare tire, but a fix-a-flat kit so that is a definite minus. 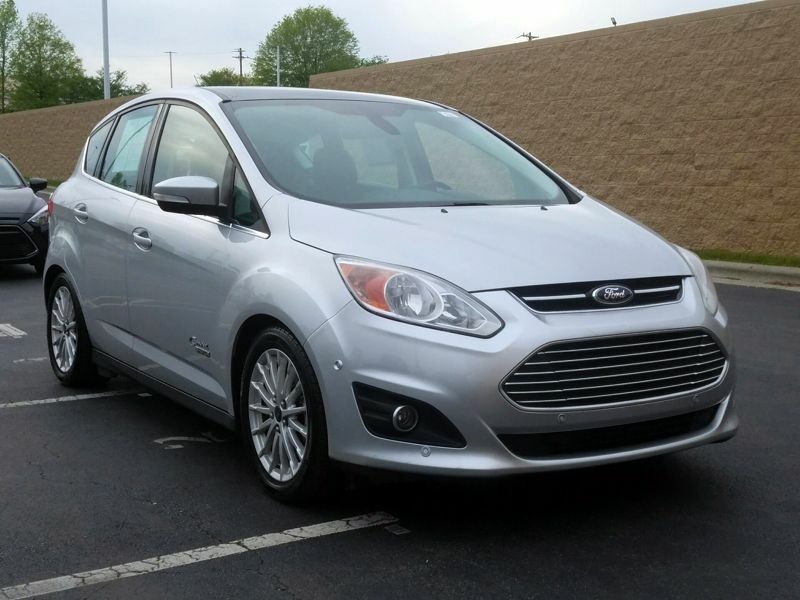 Transmission: Automatic Color:Silver Interior Color: Tan Average Vehicle Review: (5 reviews) My car is a plug in hybrid. Most of my driving is local. I can easily go 4+ months in the summer without going to the gas station. Sometimes I charge 3 times in a day, but usually only once or twice. I estimate that it cost about 25 cents to charge my car, however, I have switched the the Commonwealth Edison Real Rate plan. Sometimes at night when I charge they pay me to charge my car because the prices for electricity have gone negative. Anyway, I enjoy my car, it is very peppy in electric and i like "going green." I do wish there were more "free" charging stations around. The Kohls near my home has a free charging station which i use often. I have driven my car 22,000 miles and 18,000 of those miles have been in electric. 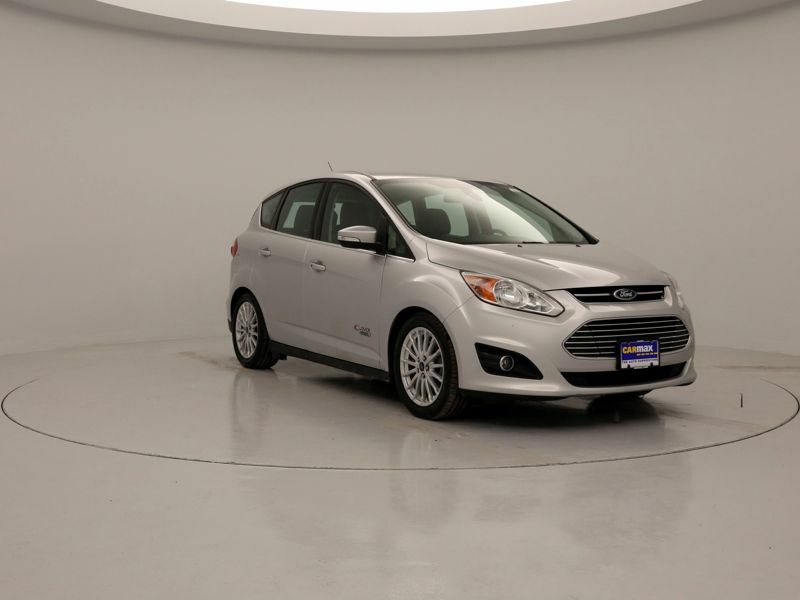 I looked at many hybrid models and I just could not walk away from this little gem of a car. Someone told me that it reminded them of a baby minivan. I love the room inside the car and the adjustable height of the driver seat. The extra side mirrors are also great. No blind spots int this car! The gas mileage is great. The SYNC system is not completely reliable, but it is okay for me. The turning radius of the car is very limited which is surprising because the car is small. Trunk space is also very limited. The car is very zippy which was a pro for me. It has all of the bells and whistles standard. 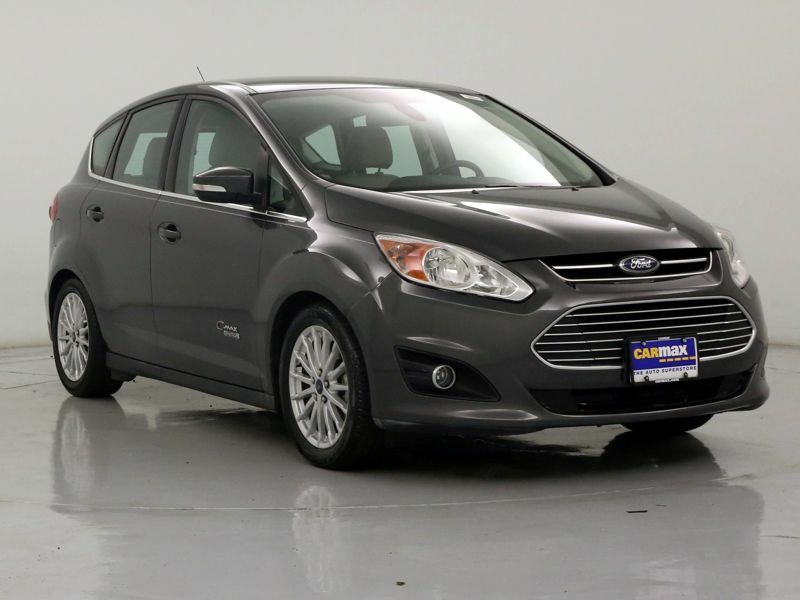 Is fun to drive and is very economical and gives you choice of whether to pay at the pump or on your electric bill. This car drives smooth. Minimal noise in the cabin. Love the sync features. My model has all the bells and whistles. Love the heated mirrors and seats. The sound system and speakers are above average.